Thanks to the diversity of the soil, the Médoc is able to produce a uniquely varied range of wines to suit all occasions. The Collection’s Médoc is the result of rigorous selection according to the “house” technical team’s strict criteria: reduced yields, perfectly ripe, pure fruit, and respectful vinification. The Médoc’s star grape, Cabernet Sauvignon, is predominant in the blend. Maturing is adapted to each vintage and completed before bottling so that the Collection’s Médoc is ready for immediate drinking. 2016 est à Bordeaux un millésime remarquable, tant en quantité qu’en qualité, rappelant en cela le mythique 1990 ! L’année a été néanmoins difficile pour les viticulteurs, avec un début de cycle très arrosé (800 mm de pluviométrie sur les 6 premiers mois de l’année), une période très sèche du 1er juillet au 13 septembre, enfin des orages localisés et un bel été indien, qui ont finalement permis d’atteindre une maturité parfaite. 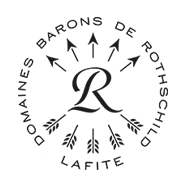 Les vins sont riches, suaves, fruités, avec une maturité de tanins rarement atteinte et des couleurs très profondes. La rive gauche et le Cabernet Sauvignon ont engendré les plus belles réussites du millésime. Nose: Subtle and refined, mingling notes of polish with aromas of candied liquorice and Morello cherries. Palate: Elegant and well structured, with tight, dense tannins on the palate and a pleasant hint of liquorice on the finish, this wine already has a great deal of charm, and also has the structure to improve further with age. 2015 was characterized by a rather late bud break, and rapid, uniform flowering in very favourable conditions (low rainfall and above average temperatures). July was very hot (with temperatures approaching heatwave levels between 30 June and 6 July) and dry (20 mm of rain, as in 2010). However, August was very rainy (90 mm on average) compared to the last fifteen years. The onset of ripening (late July/early August) was fast and uniform. As a Bordeaux vintage, 2015 was generally a very good year, but is characterized by a degree of unevenness due to the erratic rainfall in August and September. Nose: Rich, complex, with aromas of dark berries, sweet spices (vanilla, cinnamon) and burnt notes. Palate: Generous and silky, with a full-bodied, very rounded structure. The finish is long and spicy. Nose: Intense and distinguished, blending aromas of red fruit (Morello cherries, blackcurrants), sweet spices (cinnamon) and candied liquorice. Palate: Harmonious and balanced, with ripe tannins that are already well integrated; good freshness and powerful, lingering aromas on the finish (red fruit, spices). Palate: Full bodied and fleshy, with an attractive sweetness on the front palate, ripe, velvety tannins, and a fresh and spicy finish. The wines of the Médoc show great quality, with superb aromatic expression and ripe, silky tannins.